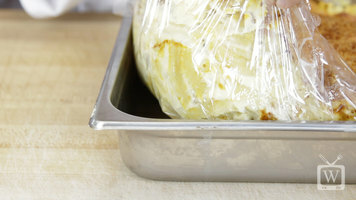 Never scrub another pan again thanks to this full size shallow steam table PTL pan liner! 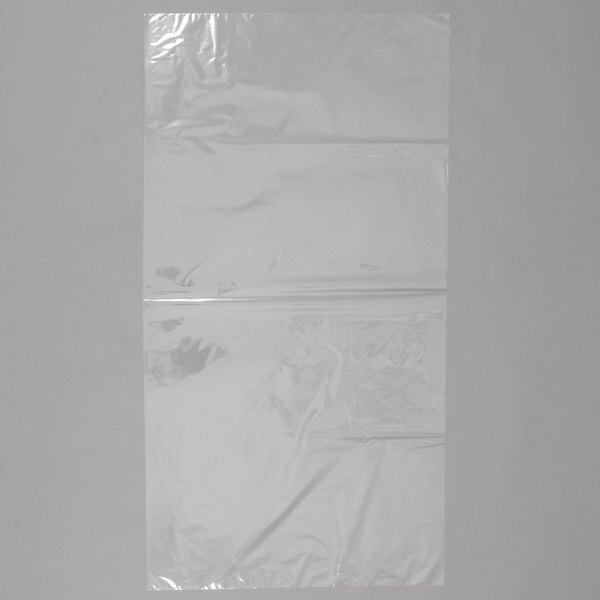 Simply line your pan with one of these disposable liners, serve, and sanitize! They are made of exclusive PTL material that provides great performance. 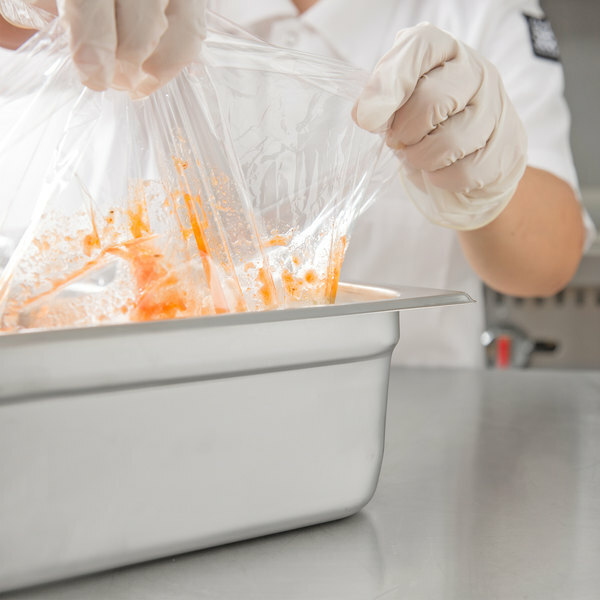 Because your food never touches the pan itself, there is no direct food-to-hot-metal contact, which can scald the moisture out and leave your food dried out and tasteless - when you use a pan liner, your food is kept warmer and will taste better than ever. Additionally, the chance of surface contamination is greatly reduced. 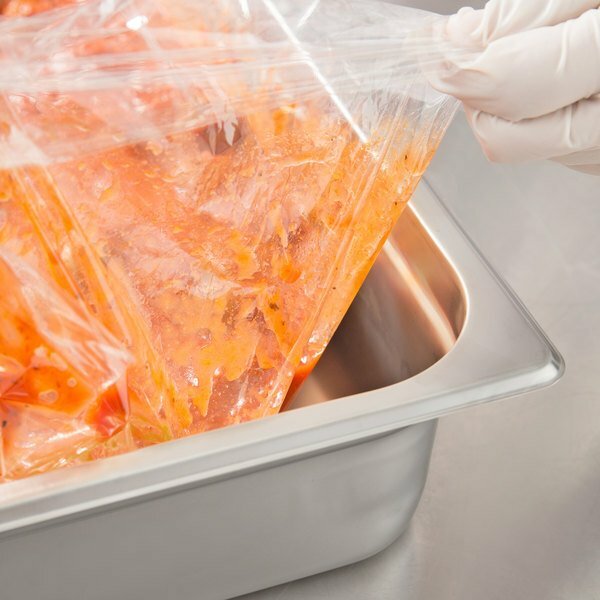 These PTL disposable steam table pan liners are oven and microwave-safe, and can also be used for cold storage. They are designed with a temperature range of -100 to over 400 degrees Fahrenheit. Fits full size shallow steam table pans, 2 1/2" deep. 3 Hole Steam Table Adapter Plate - 6 3/8"
These are great time savers. They make clean up a breeze. Easy to use in wither 2" or 4" deep hotel pans. Great value for the price. We purchased these to save on doing so many dishes with our BBQ catering business. We have found multiple uses for these liners and love them. This product saves us a lot of time and effort in clean up. They are not as heavy duty as some others, but I like the fact that they are so economical, I use them a LOT. I love steam table pan liners. These are fine for things that do not stick are require scraping to serve. If you cook something to heavy or sticky these tend to tear.